Manuel Caño's VUDÚ SANGRIENTO (starring Aldo Sambrell, Tanyeka Stadler, Fernando Sancho and Eva León) was released in the U.S. by Horizon Films under the title VOODOO BLACK EXORCIST beginning in December 1974. 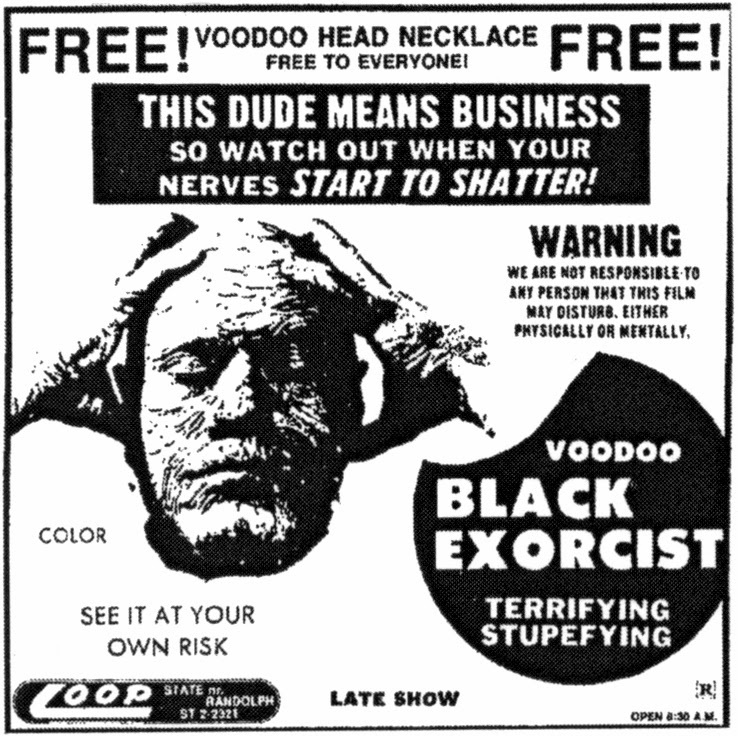 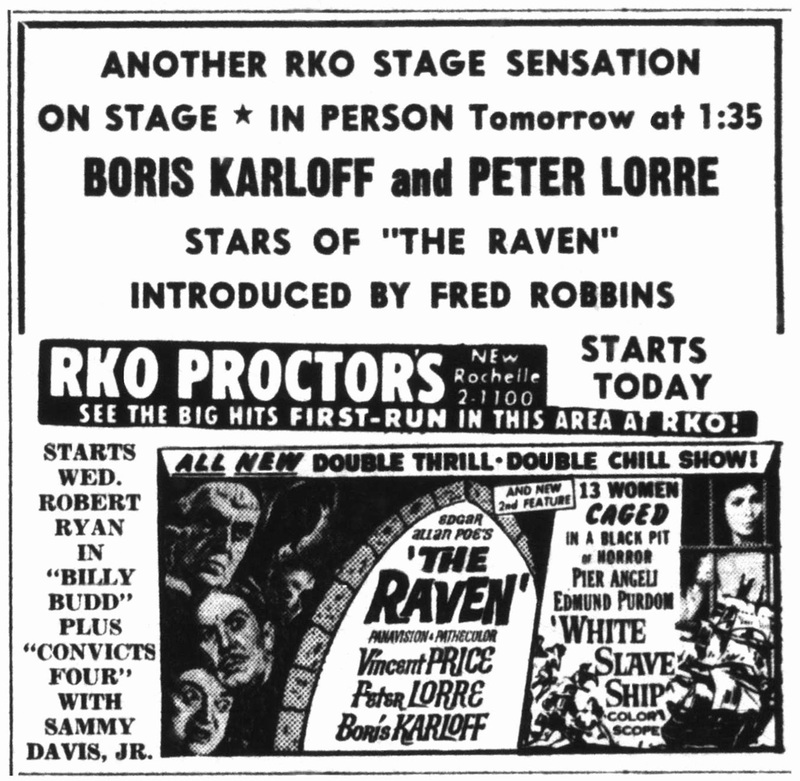 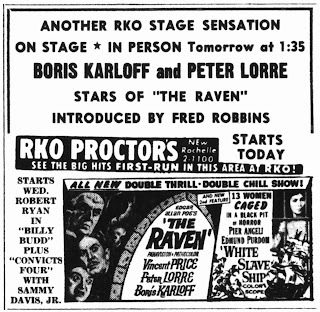 The ad above is from its Chicago opening on January 17, 1975. Named after the popular E ticket attraction at Disneyland (California) and the Magic Kingdom (Florida), HAUNTED MANSION opened in the New York City area 40 years ago this week (October 6-8, 1973) as another kiddie matinee from Larry Joachim's Trans National Film Corporation. 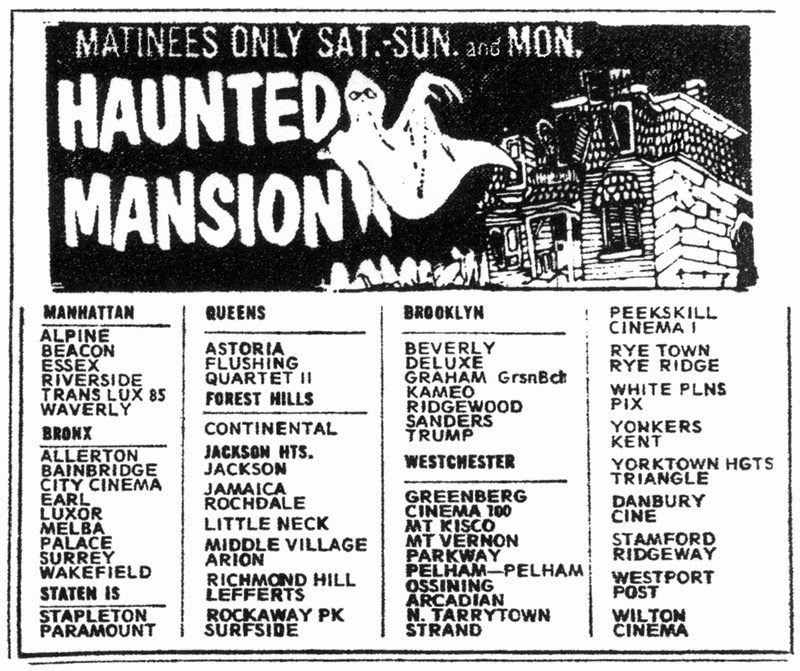 During a recent interview with Mr. Joachim, the veteran producer-distributor revealed to us that HAUNTED MANSION was actually a reissue of WHO KILLED DOC ROBBIN (1948), the second of two attempts by Hal Roach & Robert F. McGowan to revive their OUR GANG kids comedies as 55-minute color b-features.